I heard some reeeeaallly interesting things today about J.J. Abrams Star Trek movie. I’ll share all the details eventually but for the moment let’s break a piece of exclusive info: that writer/director Tyler Perry has a role in the new Star Trek movie. If you want to know who Perry is playing and how his character impacts the lives of young Kirk and Spock, beware of spoilers and click on through to read about it. And I mean that: SPOILERS ARE AHEAD! It looks like Perry is playing the head of Starfleet Academy. Before you go asking if the character is going to be a human being or one of those funky aliens with a dozen more nostrils, it looks like Perry’s character is a plain old fashioned human. Here’s some background on the dude: Tyler Perry is one of the bigger breakthrough success stories that Hollywood has had recently. 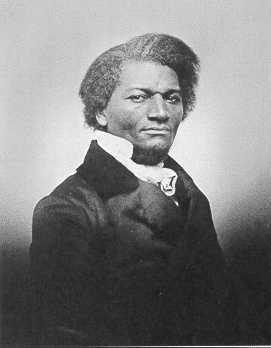 He began his career and won acclaim as a playwright before moving into film. He’s directed and written the screen stories for Madea’s Family Reunion, Diary of a Mad Black Woman, Daddy’s Little Girls and his latest hit which came out earlier in the year, Why Did I Get Married?. 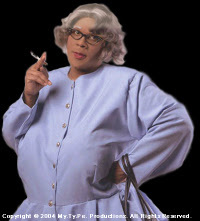 If the man’s a Trekkie he’s kept it quiet or maybe J.J. is just a fan of Madea. ...Tyler’s character is overseeing some kind of Starfleet courtroom/assembly event where young Kirk is facing expulsion from Starfleet. It turns out that the Starfleet prez didn’t look too favorably on Cadet Kirk for “cheating” on one of his critical tests. And all you Trekkies out there know exactly what it is Kirk did: he rigged the Kobayashi Maru test so he could win it. So young Kirk is standing in front of his peers (human and alien Starfleet cadets and officers) and facing immediate expulsion from the Academy. After hearing the charge from Perry’s character, Chris Pine-as-Kirk delivers a speech in the same vein as some of the classic Kirk speeches from the TV series. He wants to know how his cheating was found out, and it’s revealed that there was a witness to Kirk’s act. Kirk immediately demands to know who the witness was so he can face his accuser. Who else should we add to our cast? Post-script: One of my friends made the good point that everybody doesn't know who Tyler Perry is, and thus, why would one find this scenario problematic? Tyler Perry is a man who has made a career of playing black, female, mammy characters. For example, see this article which describes Perry's crusade to spread and reinforce these disgusting portrayals of black people (as if Japan doesn't need more reinforcement for its cultural embrace of notions such as Sambo). Why is this troublesome? The idea of the overweight, black female character (here: the mammy) is rooted in very problematic, and pejorative notions of black personhood. 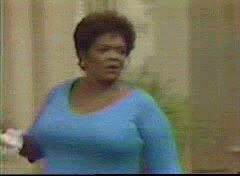 Moreover, the black mammy is a manifestation of a tension wherein black females in popular culture are oftentimes either the 1) overweight, harmless, emotional surrogate for white women and a caregiver for whites (see: "Ohh boss our house be burnin down," aka "The Gone With the Wind Syndrome" or better yet, Miss Oprah) or; the 2) the hypersexualized black female mandigo ("I can't repress my libidinous black sexuality, it must be the melanin" figure). Either way, both are deeply problematic stereotypes that have framed, in a profound manner, the ways wherein some black folk often see ourselves, and how some whites see us as a people. In the case of Star Trek, and sci-fi more generally, I term this the "Jar Jar Binks syndrome" where a poor casting decision distracts the viewer from the overall story through both an appeal to, and/or use of, (either intentionally or unintentionally) actors and/or characters that are laden by problematic racial or ethnic stereotypes. Now I can exhale. Get me? And here I thought that one couldn't be both a Star Wars geek and a Star Trek geek. Shows what I know. You'd completely destroy my belief system if you told me that you were into Lord of The Rings too. That post shattered about a million black stereotypes at once due to the sheer geek cred in it. I am (not) sorry to say you ain't seen nothing yet. Being a black geek is not a state of mutual contradiction...it is wonderfully natural.